Startup job seekers, have you seen these? 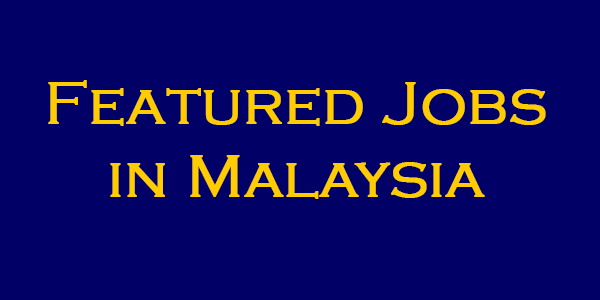 Living in Malaysia or thinking to relocate? Here are some jobs that are currently a feature in Startup Jobs Asia! Startup Jobs Asia’s Jobs Portal has new openings updated nearly every day too! Do check back from time to time. You will never know what kind of opportunity doors you will be coming your way! Thinkbiggr focuses on developing consumer engagement technology for brands. Working with middle to high end brands to engage consumers through innovative technology. The company was founded in 2012 and has expanded its operation to Australia and Singapore working brands from all industries in events. Join them in their pursuit to be the most innovative event technology company in Malaysia. If you are searching for a place to grow and explore your true capabilities, this is it! They are currently looking for a genius in digital marketing, experienced in managing brands and of course, social media platforms! Next, thinkbiggr is on a lookout for a person with superb ideas for marketing strategies who loves meeting people and a great team player. Last but not least… love developing apps and constantly exploring new ideas and functionalities? Join them as a Software Engineer! Click here to look into the details of the above 3 positions. Suria Labs, the new development shop in Southeast Asia. Their passion is to craft Web and mobile applications. And being damn good at it. Degrees are not necessary for crafting good software. Software development is a passion that someone should carry in his heart. If you are carrying that passion in your heart please go ahead and apply for one of their open positions. They are looking for a junior Ruby on Rails developer to join their development team in their brand new office near KLCC. Be ready to undertake exciting challenges with a modern Rails shop in the starting phase! Up for it? Click here to apply. Bookya.com is an Enterprise Social Network that connects the entire Live Entertainment Industry. They are part of a rapidly growing group of SME & startup companies with headquarters in Malaysia, Europe and expansion plans to North America. At Bookya, they reinvent the way Artist, Promoters and Agents collaborate and manage bookings while helping upcoming Artists to get the exposure they need. A project manager that is able to design and implement project processes, on top of managing it well of course! Next, they are looking for a Lead DevOps Engineer. They use primarily open source tools to build distributed private and public cloud environments and deploy high-load web services into those environments. Lastly, they are also seeking talented (senior) developers with strong knowledge of the latest web technologies. You will collaborate with teams that include developers and non-developers to shape the functionality and user experience of their mobile and web applications. Lastly, just a gentle reminder! Startup Jobs Asia has new updated jobs everyday available! Go here.